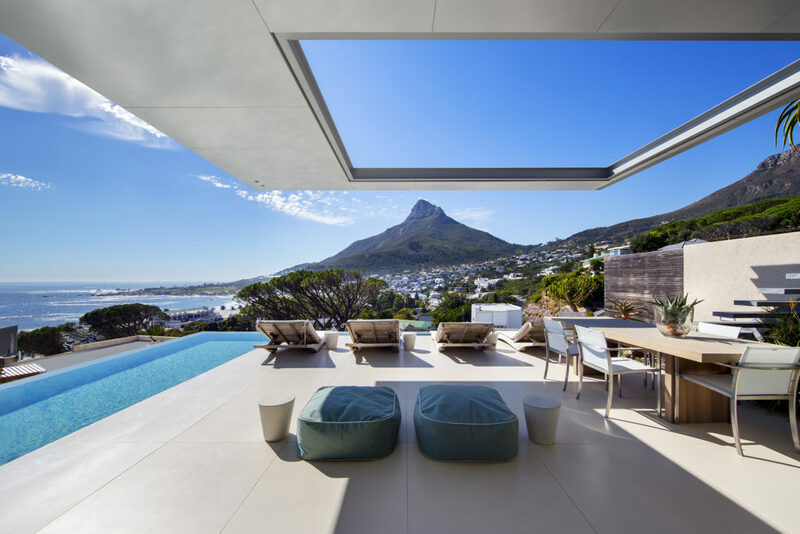 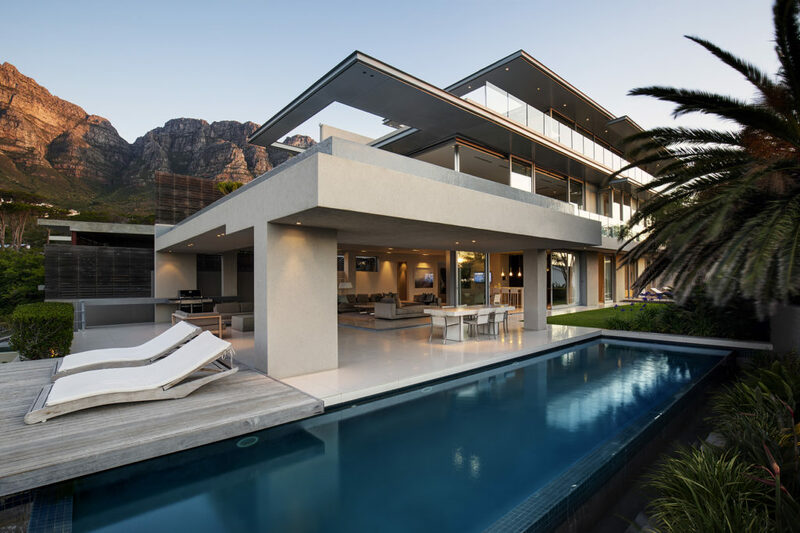 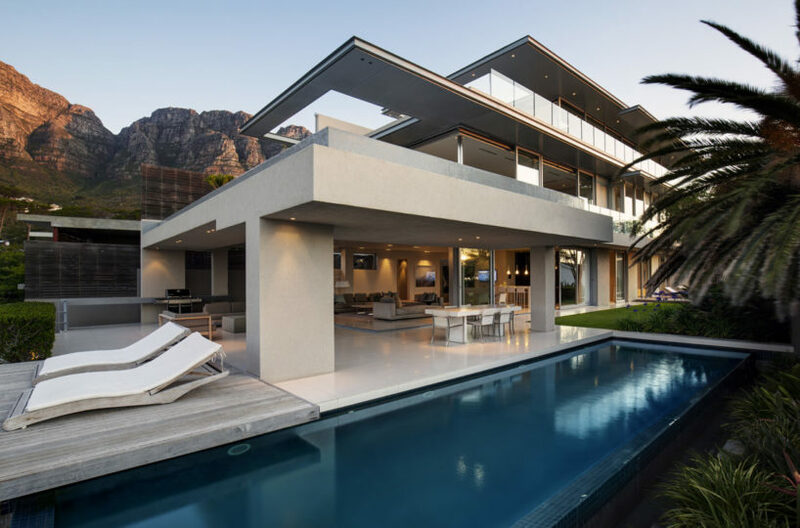 Set against the spectacular backdrop of the 12 Apostle Mountain range on one side and the endless Atlantic ocean on the other, the architectural masterpiece, 008 BOND VILLA, is a sophisticated yet down to earth and welcoming holiday home. 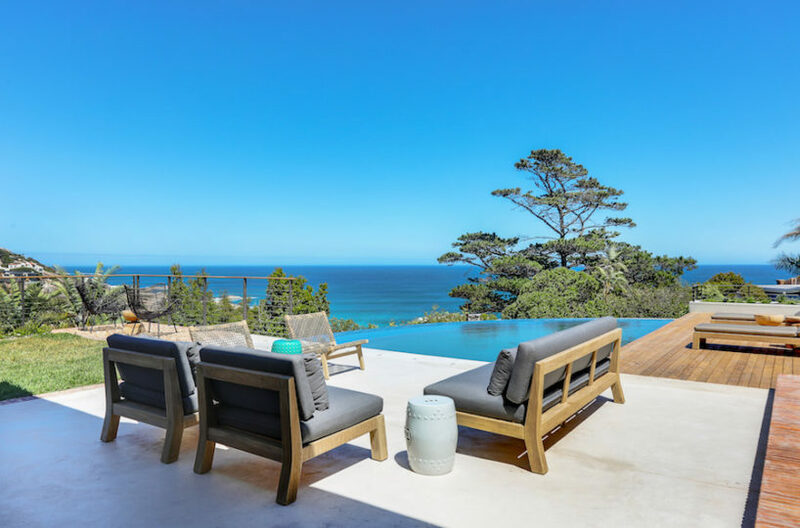 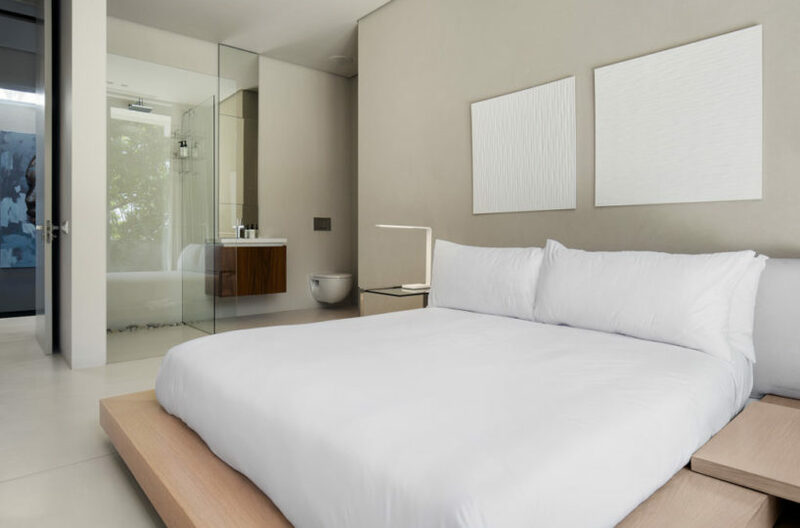 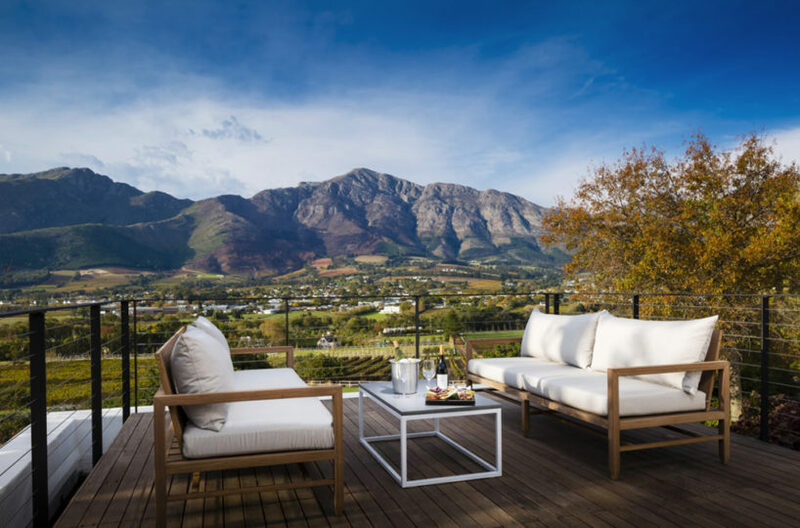 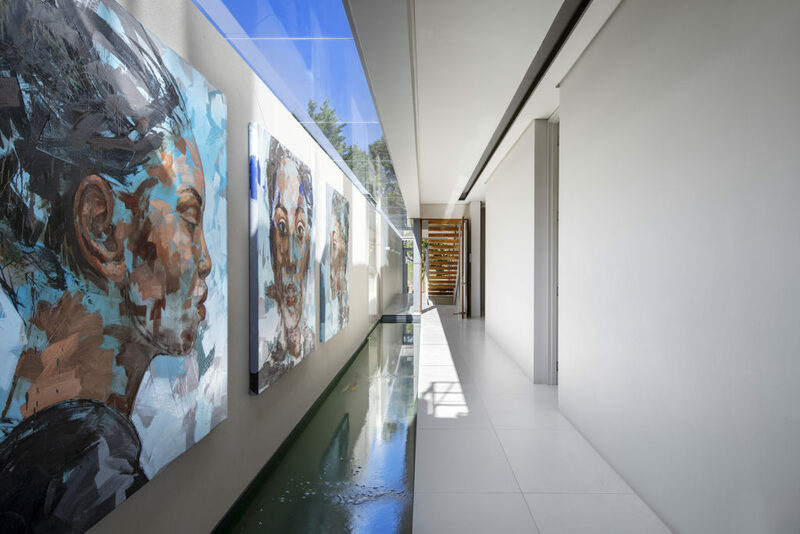 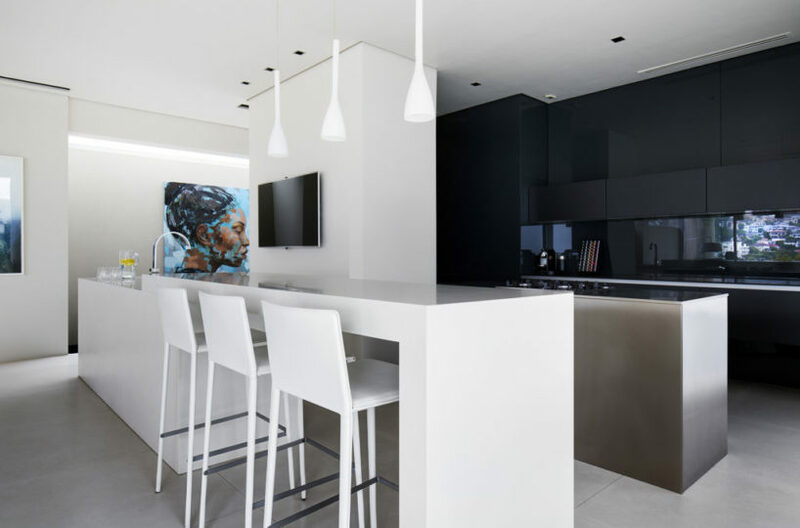 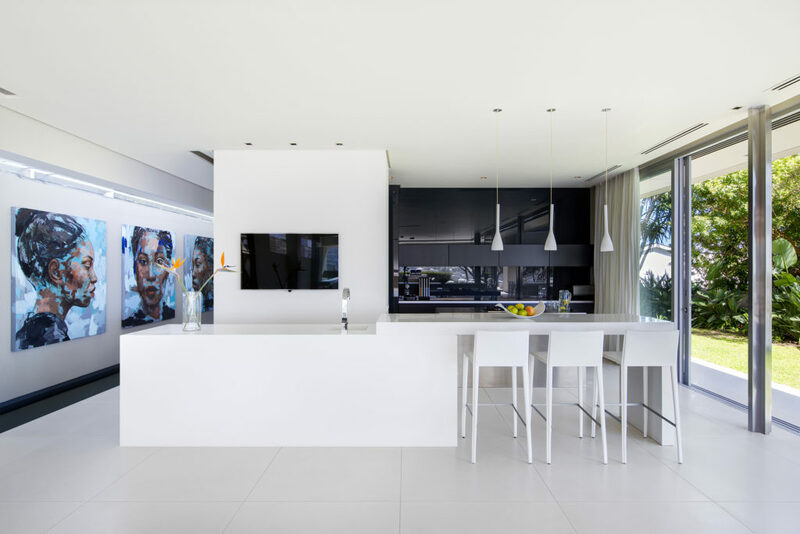 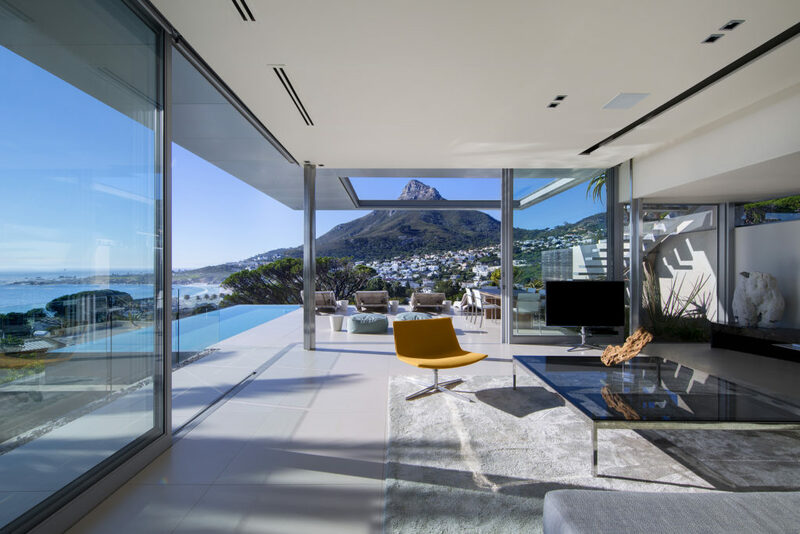 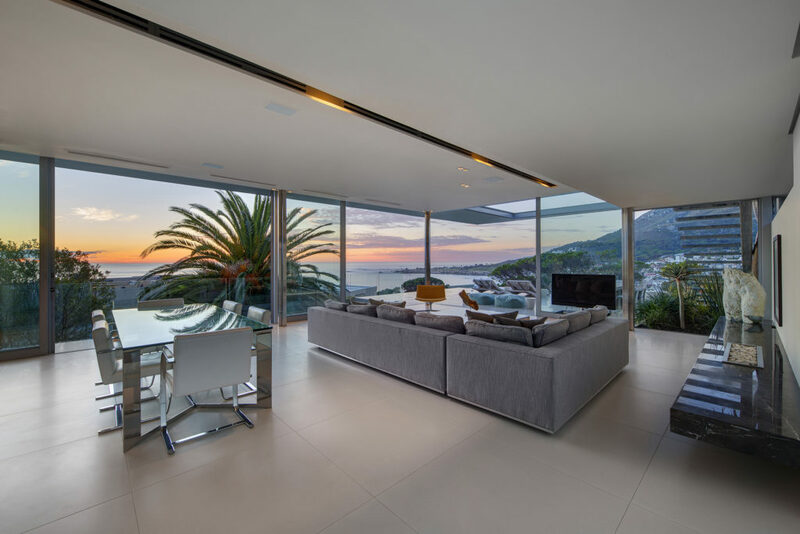 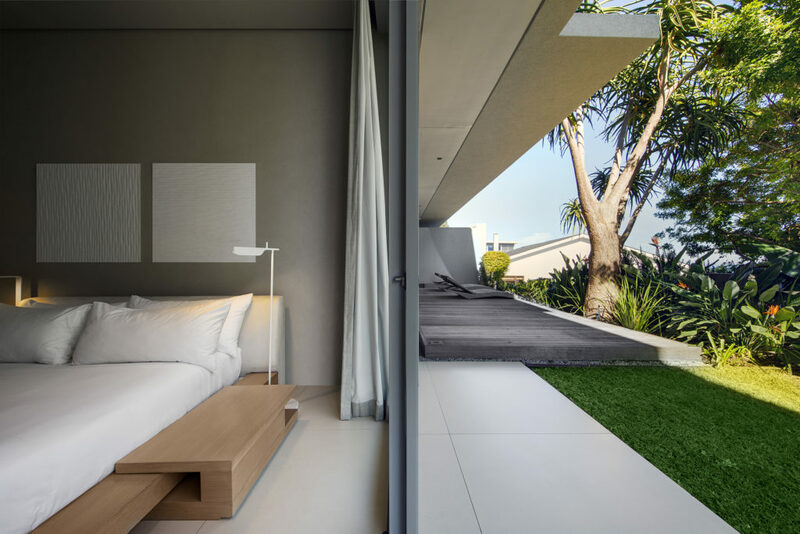 The property is conveniently located on the slopes of Camps Bay, close to its palm fringed beach with azure blue water and all the bars and cafes found on the Camps Bay strip. 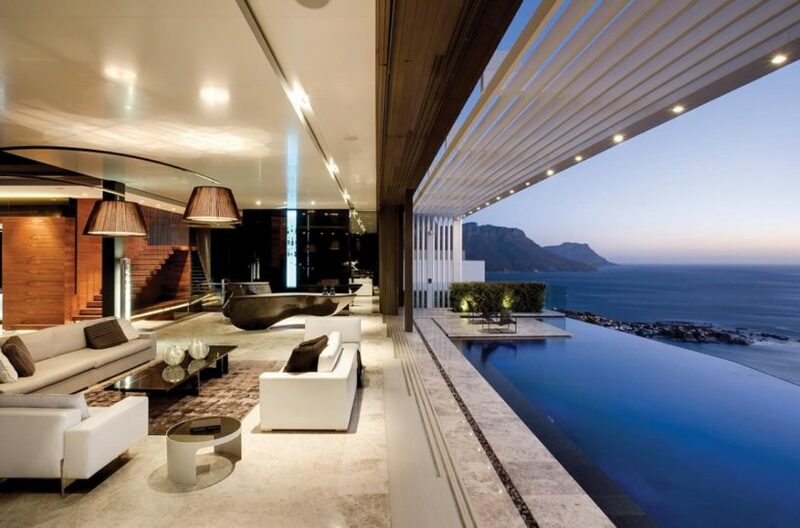 The villa is also close to the centre of Cape Town and the V&A Waterfront. The holiday villa spans over two levels with 6 en-suite bedrooms (two master bedrooms with king size beds and four bedrooms with queen size beds). The ground floor and the penthouse level both include a spacious lounge, dining area and pool ensuring plenty of space to relax. 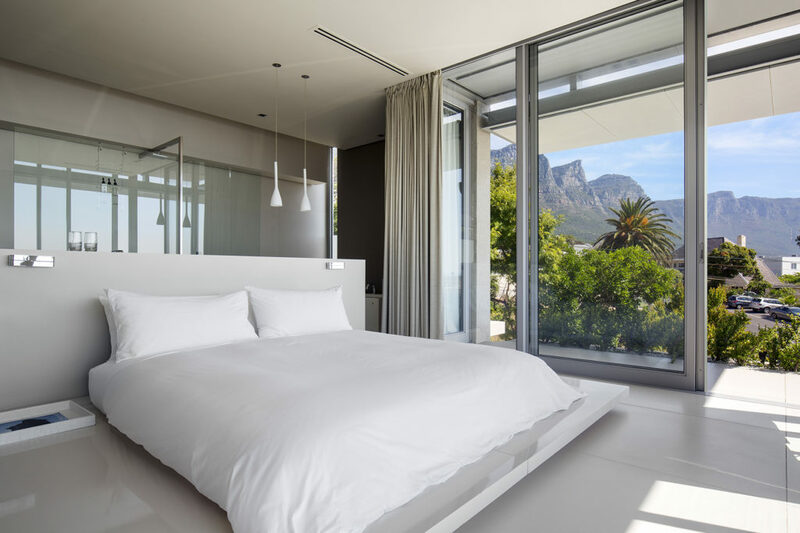 Breakfast chef and breakfast (07H00 – 10H00), daily pantry and beverage stock, welcome stock, pre-stocking service, tea, Nespresso, mineral water, daily housekeeping (09H00 – 17H00), laundry, uncapped WiFi. Additional meals, additional staffing (butler, chef, driver), dry cleaning, telephone calls, excursions and treatments.